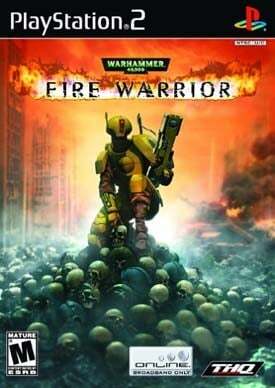 It's the picture based off the cover of the Game "Fire Warrior"
My brother got this game way back and I played it, enjoyed it, enjoyed it, and enjoyed it. It and battlefront 2 2005 are my favorite games ever. Table top games are fun... I play a Lord of The Rings one, but made by the same company. Also, nice painting on your figure(I am assuming that one was painted by you). 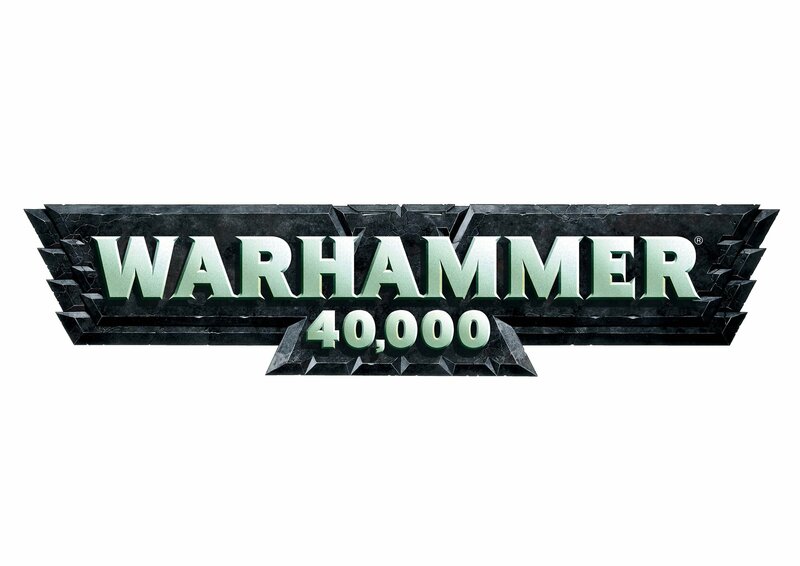 I find it interesting to hear that this franchise's name is quite unique (at least to me) considering that it's name has the number 40,000, and I mean that's a pretty BIG number! I don't know what other franchises' name has that kind of big number . What exactly does the number 40,000 refer to by the way? 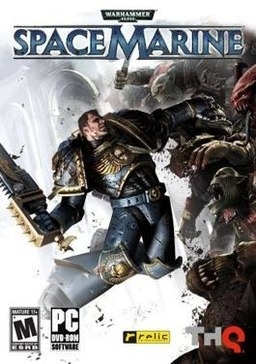 I also find it interesting to hear its tagline "There is only war!" 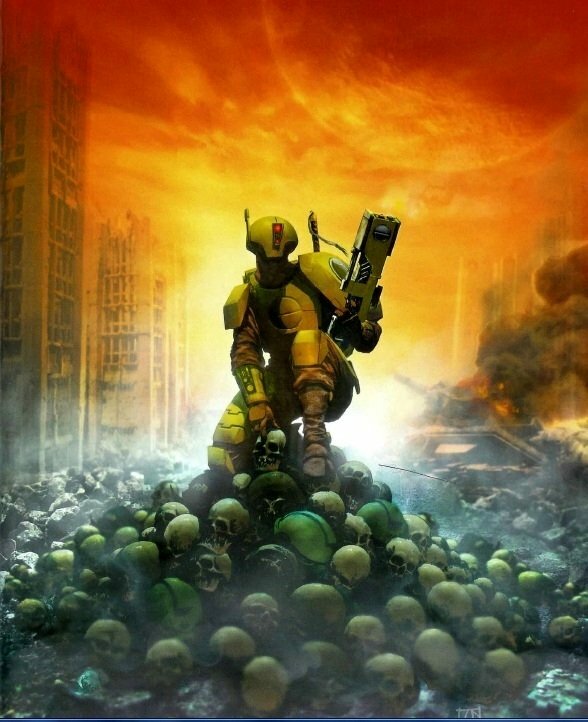 and to see a pile of lots of skulls in the Fire Warrior's cover, as to me it sounds like that universe's war is extremely brutal! I took my time to watch this gameplay video to see what this game looks like. One of the things that I like about is hearing the sounds when picking up ammunition and other things -- it sounds satisfying, and kinda reminds me of Star Wars: Shadow of the Empire game when picking up ammunition and powerups. Wow! 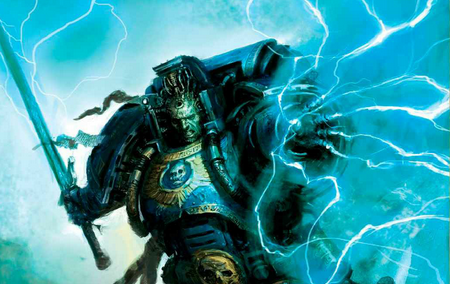 I didn't even realize the 40k franchise started in the 1980's. No doubt that's a long time ago, and way before I was even born. 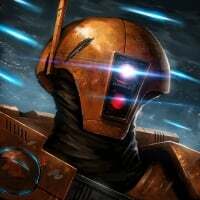 Of course we already know about Star Wars franchise that also started a long time ago as well, but I do not know which other big franchises/series (like Star Wars and 40k) that started in the 80's, 70's, or even earlier that they grew a lot and still currently live up to popularity. 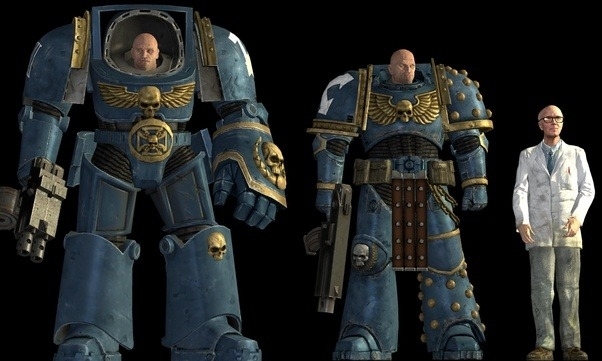 Also, I gotta say this: the Space Marines sure looks like Stormtroopers, only with muscles, and much more intimidating. 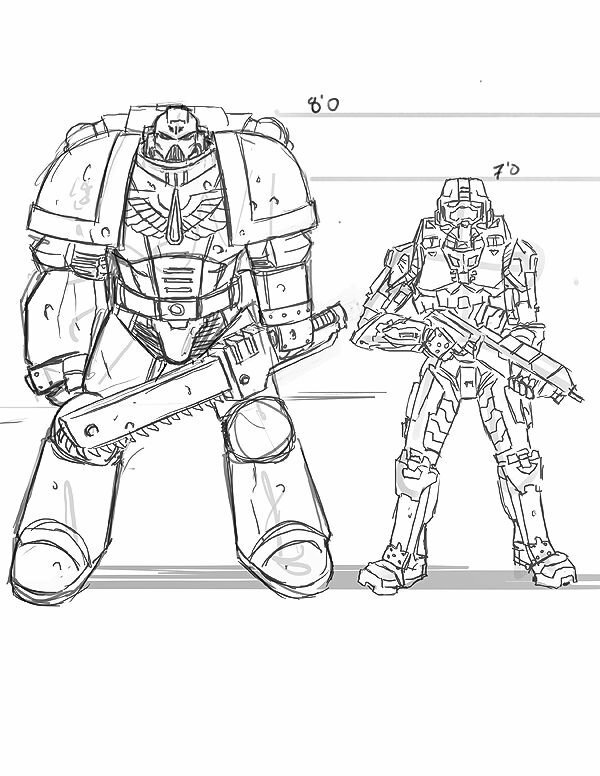 They also look like Dark Trooper, especially the Phase III. 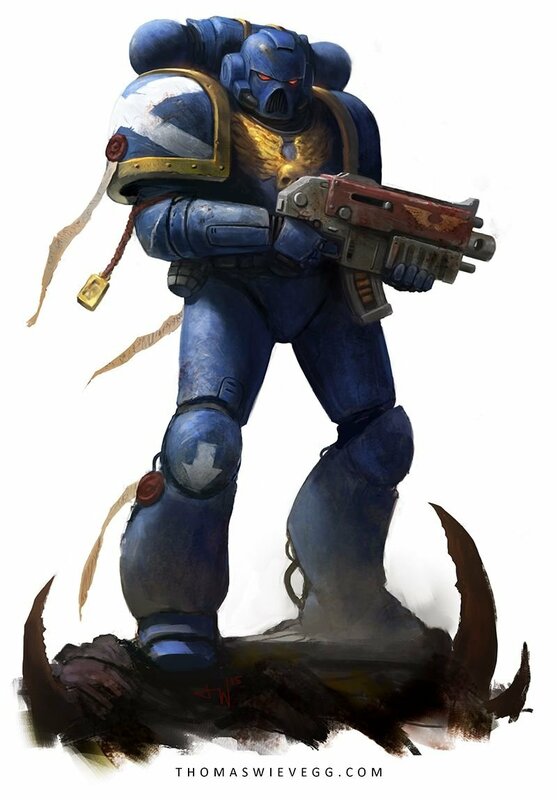 I wonder if Jedi or even Sith can stand a chance against Space Marines. 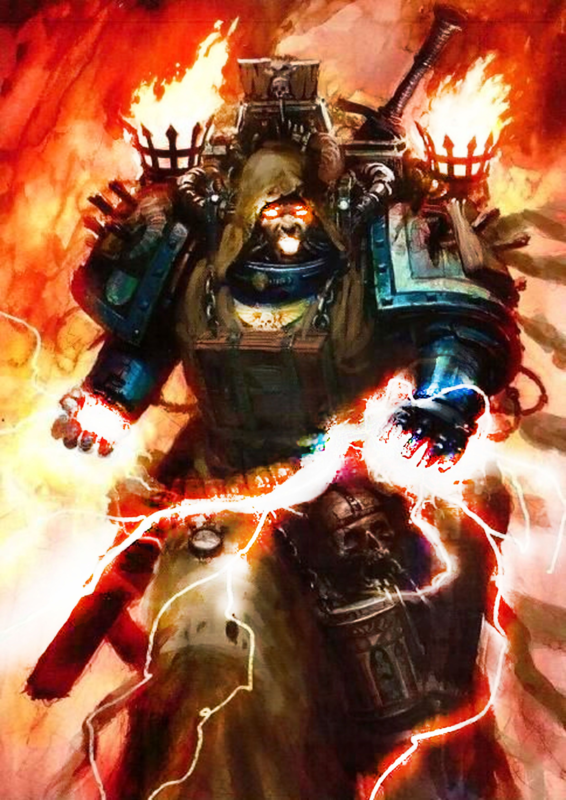 Also a part of those powers are things such as telekinesis, which is very similar to force push etc. 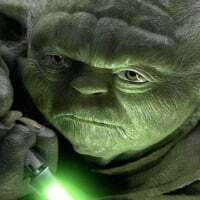 Yoda would be a challenge because his speed, palps could us lightinig (some librarians can use lightning attack too) but all space marines have excellent melee and sword dueling skills plus how strong their minds are determie how powerful with the warp, but the warp is lethal and not calm like the force in star wars so the user of said powers might lose an arm or even explode! 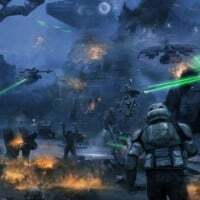 renegade squadron is the most fun battlefront game I ever played and HCTF is one of the most fun modes on any game period the battles was all ways intense some even lasted for hours I actually cried when they shut the online servers down. in HCTF both teams have a flag they must protect but theres a catch: who ever has the flag becomes the hero for there side so you must kill the hero and take the flag and bring it back to your base and who ever gets 5 points first wins. you can all so pick up your teams flag if a hero or enemy drops it and bring it back to the spawn point of the flag and then you will be the hero of your team. its normally best not to stray far from your base and only go out of your base a little bit to help push enemys back but stay close enough so you dont get killed and the enemy team takes the flag. one of the best strats to kill the enemy hero that was camping in a base was to use the stealth item to sneak into the enemy base and assassinate the hero and take the flag I remember I would all ways spam my force powers when they was off cool down that way if someone was using stealth it would hit them and knock them out of it and then you could kill them. honestly never played HCTF on battlefront 2 online but even if I did nothing can beat the matches I had on renegade squadron. 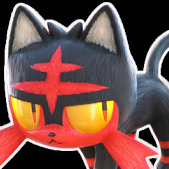 I will never change my avatar that game and that mode was far to good I will all ways show my respect for it by having this profile picture on here and on my youtube channel. Mine is unique. It's from BF15 in a blast match and don't recall anyone else ever getting up there. I used to play BF15 A LOT and never saw anyone get up there. It's from a show called Band of Brothers. It's a WWII miniseries, that is super amazing! It's a lot more realistic than a lot of the war movies I've seen. 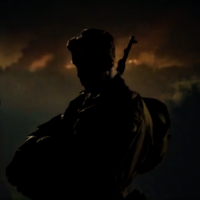 That specific part in the pic was a part when one of the soldiers was overlooking a city being bombed from a distance. I saw it and instantly knew it would have to be my profile pic. Ah yes! 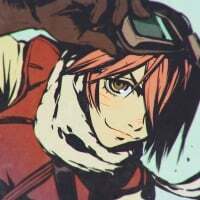 I remember that I played Renegade Squadron a very long time ago, though I never owned that game, nor the PSP. Instead, I played this game from my friend who shared with me when we were traveling together on a long trip. Haven't played too much, but what I only played was some of the Campaign Mode missions and space battle, and boy I flown a TIE Defender for the first time in my life and felt really good. 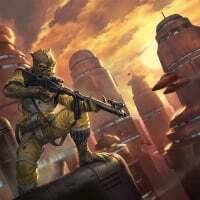 By the way, HCTF was introduced in Renegade Squadron, according to this article in Wookieepedia. It didn't existed in the original BF2, at least as far as I know. Hm...I not sure if I even thought about getting up there. Might as well give it a try, especially for the sake of the TIE Fighters . Really nice picture taken from that angle, by the way. 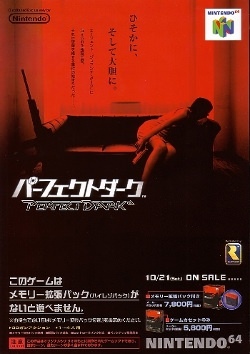 I'm a huge fan of Perfect Dark, the 'sequel to GoldenEye 007', and I always liked the red and black promotional art for Japan. And here's the game's amazing OST. Ahead of its time, in my opinion. Hm...I not sure if I even though about getting up there. Might as well give it a try, especially for the sake of the TIE Fighters . Really nice picture taken from that angle, by the way. Ya I went and played the OG battlefront 2 online on steam a few days ago they brought back the servers a while back and realized it didnt have it I guess I was just remembering you can play as heroes in CTF on battlefront 2. honestly online on the original battlefront 2 is just pure trash its easily the worst online battlefront game its basically an explosive spam fest and other then the special troopers the only viable class is vanguard and engineer. Disney brought the servers back. I used to play online on ps2 and man, I swear I knew every way to get inside the wall on the death star, online was so broken. If you aren't the rocket launcher class, or the engineer (shotgun) getting kills is hard. Ah! 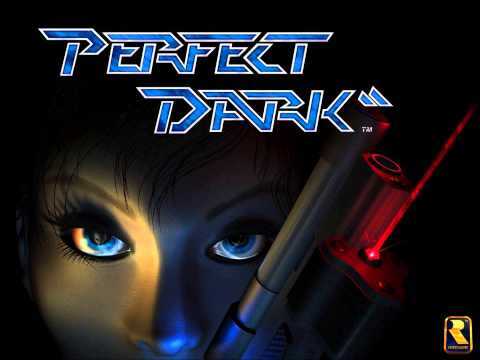 I played both Perfect Dark and GoldenEye. Both of them are such top-notch classic games. 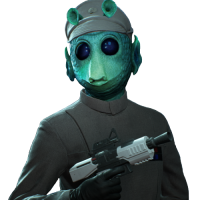 I tend to use my Rodian character from the newer swbf games. Usually there's no significance to them. But this one I'm using now, my mate actually took while we were playing together one day. They stumbled upon my corpse frozen in an eerie position and immortalized it via screen cap. They gave this to me today because they had been helping trying to find a video from their perspective of watching my Rodian fall to it's death after a standard jet pack flight. I appreciate their efforts, even though neither of us found the video footage we were looking for. Thanks. It took me countless attempts to get up there. I did it more than once but it is difficult. I jumped from the platform to the railing and then jumped and hit the jetpack. 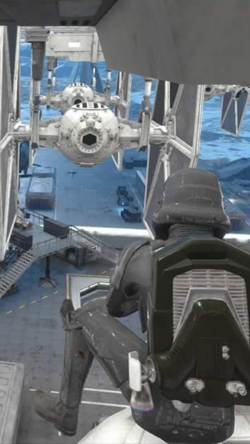 The only way I pulled it off was to hit the the panels/wings of the tie fighter on the inside and it kinda catapults you up higher. Good luck. My forum picture is soon to be my xbox gamer picture as well. 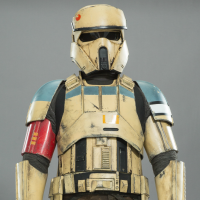 I use a shoretrooper as shoretroopers are my favorite new ‘trooper. 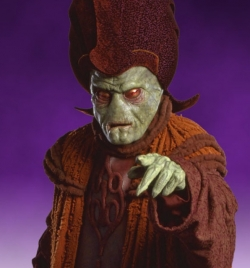 I really like the way how the character Nute Gunray was shown for a profile picture, especially when the username's was named after this character. I really like his facial expression combined with his finger pointing against someone in a way as he is "accusing" at (kinda makes me think that he is pointing his finger at Padmé Amidala). So if I know when Gunray uses his finger to point against me, I knew that I'm in "serious trouble". Though there are number of members with images of Darth Vader as their profile pictures, but I really like this one because the way it is shown (showing the mask's face at the upper-left, his chest at the bottom, and the place's background at the upper-right) looks like a perfect photo to be used for any social networking service (including this forums we see right now ). 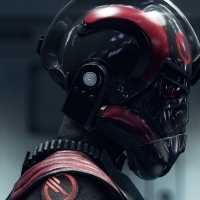 Personally, Iden Versio is actually my favorite Hero character in BF2, and this is perhaps my favorite profile picture that represent this character's from the forums so far. 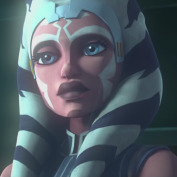 I like how she was shown wearing her Special Force suit while smiling and standing in front of the Imperial's insignia, indicating that she is someone who proudly serve and fight for the Empire at the time (before her defection of course). 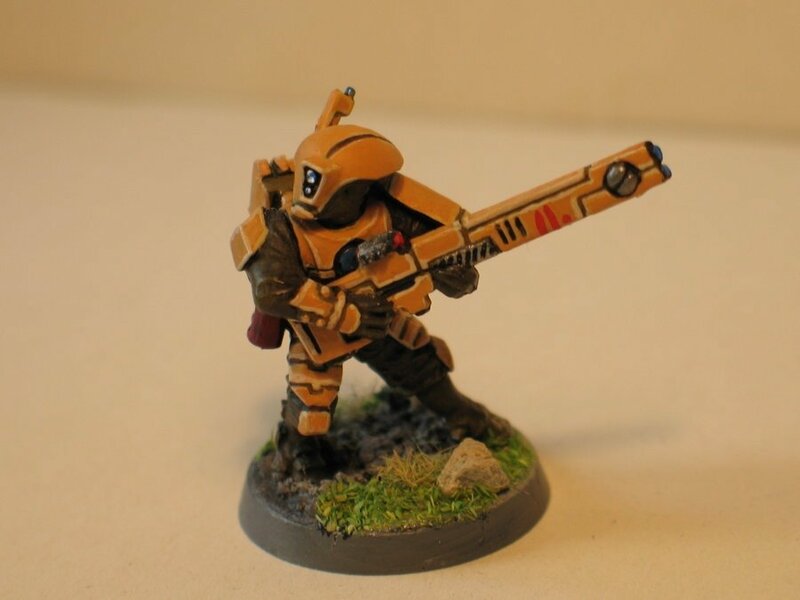 By the way, she reminds me of myself as my own character from a game called Star Wars Galaxies whom I created myself, who happens to be an enthusiastic Imperial pilot and was extremely proud serving the Imperial Navy. I don't know who exactly is this character, but seeing a while back from another thread, he might be from a TV-series called Family Guy. 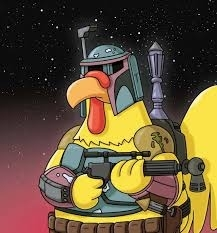 Nevertheless, I really like the cool-looking image of a rooster depicting as Boba Fett, and he looks calm and collected. Because FLCL is one of my first and favorite childhood animes. 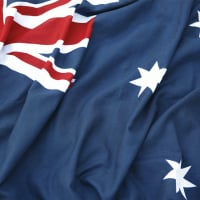 I found a picture that I like but the change avatar picture., wouldn't work for me. It keeps a red x no picture. Is there a code or something? I tried the photo on my sisters Mac laptop. So it worked. 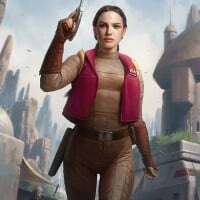 It's a picture of the new art work of Padme Amidala with Thrawn. 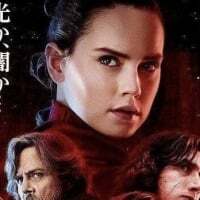 I like it so much that it looks like Natalie Portman! 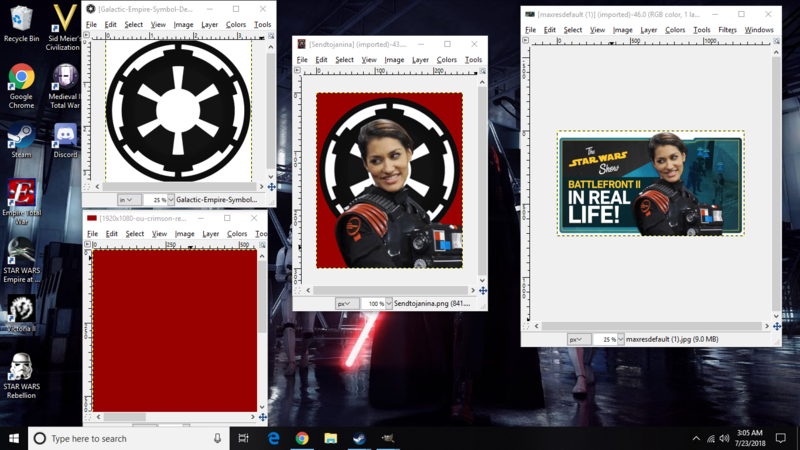 Iden Versio is my main hero and has become one of my favorite star wars characters, 2nd favorite which was once held by Krennic (My forum banner is my top 4). She cemented this position after I read the Inferno Squad novel which I highly recommend. 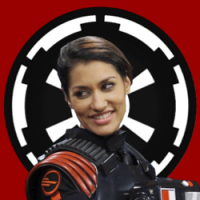 Janina Gavankar is also someone I've come to really like and in a way helped me get through some tough times. If anyone is really interested the specifics on that you can just direct message me, I won't bore anyone with it here. Thanks for the compliment @FriedPizza773 I would have replied earlier but I didn't get a notification for the tag. 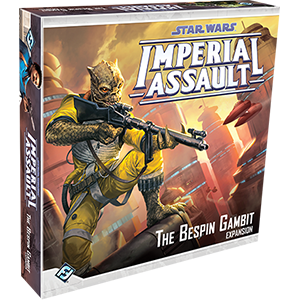 I use the cover art from Fantasy Flight Games’ Imperial Assault-expansion ”The Bespin Gambit”. 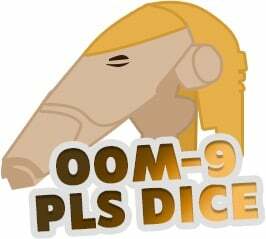 A homage to both my favourite Star Wars film and a great board game. 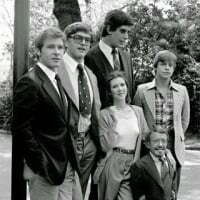 Star Wars cast pre-filming of the A New Hope (Star Wars Ep IV) which released in 1977...when they were young and not being written out of the later titles or passing on - RIP Carrie....Maye The Force Be With You, Always. I can tell from box that the game is very balanced!! That is stable geniusness, right there! Anime never cease to impress me. Ah! So you have assembled your own image for profile picture. Awesome! Interesting Star wars-theme board game. That's something I would like to give it a try if I have a chance. Can you describe the difficulty? I don't have a profile pic at the moment. Well, it’s pretty much a dungeon crawler of sorts, where 2-5 (nowadays 1-5) players play through thematic Star Wars campaigns. 1 player controls the Empire and the rest will take on the role as a hero of the Rebel Alliance - there are 6 original heroes to choose from in the core game and then each of the expansions add another 2-3. 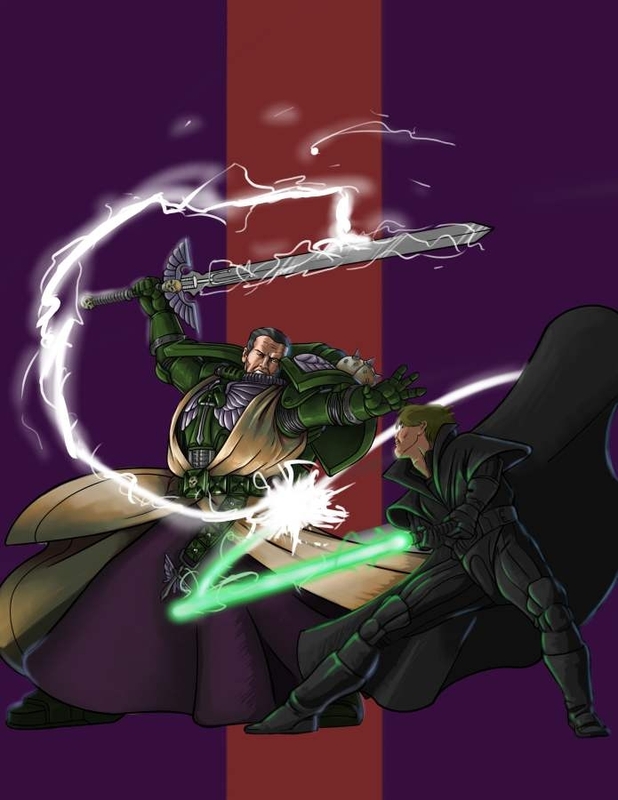 Classic Star Wars characters act as companions and enemies. It’s not ”hard” per se, but it’s obviously a lot of rules and it is a complex and fairly deep board game with xp, levels, equipment and abilities. They recently added app support, where the app ”controls” the Empire instead of a player, hence you can play Imperial Assault solo now if you wish. If playing campaigns is not your cup of tea the game also has a competitive skirmish game mode where you create a team out of one of three factions: Rebel Alliance, Empire or mercenaries, and battle it out against another player, 1 vs 1 (like in X-Wing: the board game). Here you can mix in classic SW characters with new ones if you wish as long as you keep it within the faction. 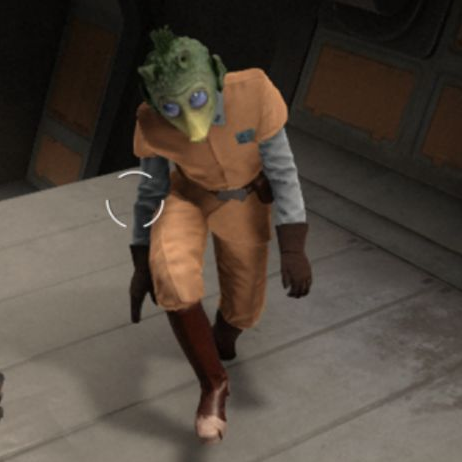 If you want to have Bossk team up with a Jawa scavanger and have a nexxu in a leash with them, that’ll work for example. Same rules pretty much, but more straight forward gameplay. I've recently switched it up from everyone's favorite red panda Aggrestuko to Vegeta in his slick winter jacket from the Dragon Ball Super: Broly trailer because I'm a huge Dragonball fan. 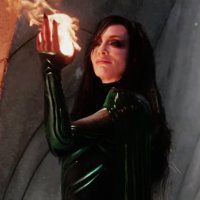 I currently have Hela, the goddess of death, from the scene of Thor Ragnarok when she is holding the eternal flames. I really loved her and the movie in general. 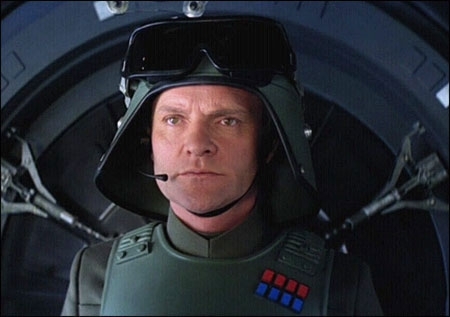 And before that one I had General Veers as a profile picture, because before Iden he was my favorite SW video game character (for being in Empire at War and Galactic Battlegrounds). Was my 2nd favorite character at one point but now is 4th. I use this picture for two reasons. 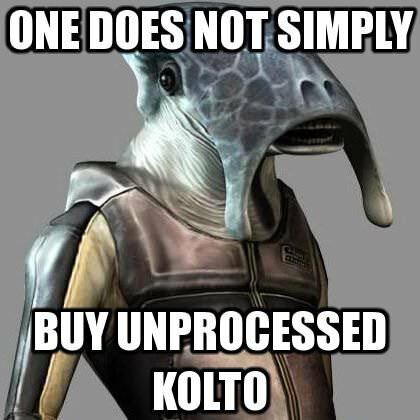 The first being that it's a KOTOR meme, the second being that it reminds me of that one Selkath (forgot which one exactly) on Manaan. For some reason this picture really entertains me. 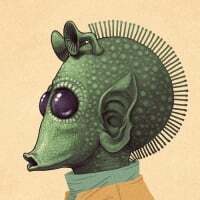 for me I like star trek as well as star wars and thought that my profile picture looks like greedo wearing a starfleet engineering uniform (like the ones on the next generation). 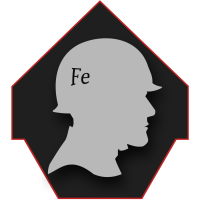 it's an iron soldier. I did have a nicer old logo but couldn't use that anymore. One day I may get someone to properly make something which looks slick but it does the job. Was bored and wanted to try some things in photoshop, so I made this. Didn't make it out of generosity, just boredom. Editing isn't very good, I was working with a laggy computer in a distraction-filled enviroment. I watched you drink a four loco. Didn't do it out of curiousity either, or boredom. I did it simply because I wanted to. And what a cool picture! You must like me afterall. Interesting! There's even an app support? Sweet! Not something I would've thought about it. Though it does sounds like I cannot control the Empire when playing solo. If so, that's too bad for me. 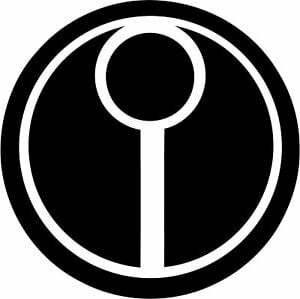 I'm only "pro-Imperial". Oh yeah! I noticed you did indeed had Aggrestuko (in her death metal singer form) from before. I have not yet watched the anime series, but I'm definately looking forward to see it. 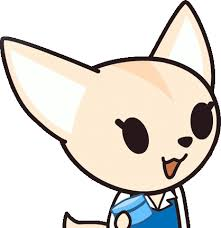 That being said, despite it was named after the main character, there's actually another character that I'm already starting to like even more than Aggrestuko, and that's none other than Fenneko. For some reason I find the fennec fox way more kawaii! 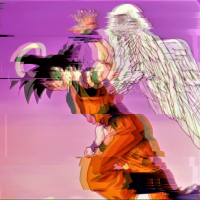 I also like Dragonball series. Not necessarily a huge fan myself, but I like it well enough, and I can see why the franchise is very popular. But boy the Japanese popular culture is really a big part of our lives, isn't it? Their influences are so strong that I don't think that either of us can "live" without them. In fact, I actually visited Japan myself as a tourist, and I absolutely love it! I wanna come back again! Looks really nice! It's perfect to be used as a signature. Well, you’re obviously doing the physical movement of the Empire by yourself, the app tells you how, but yeah, the campaigns are centered around the Rebellion, despite the game’s name. 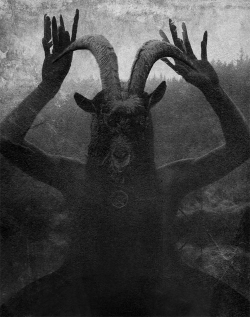 i enjoy "dark" art work. I'm always wondered about your profile picture. It sure looks mysterious in an eerie way. A very good work of art that looks like a real thing.